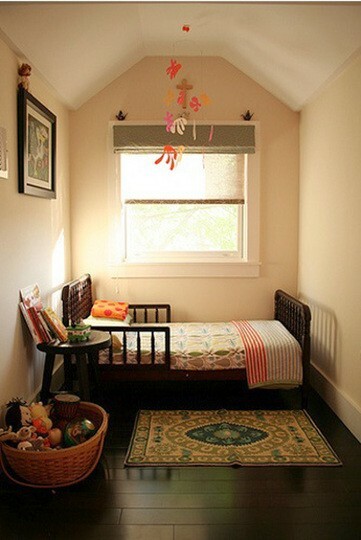 Sometimes the smallest rooms are the best ones, and really...how much room does a kid need anyway, this is perfect! 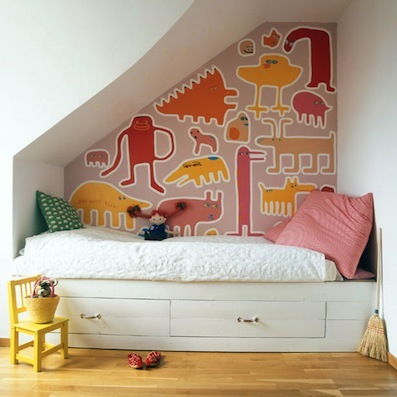 GREAT use of space, love the painted creatures! 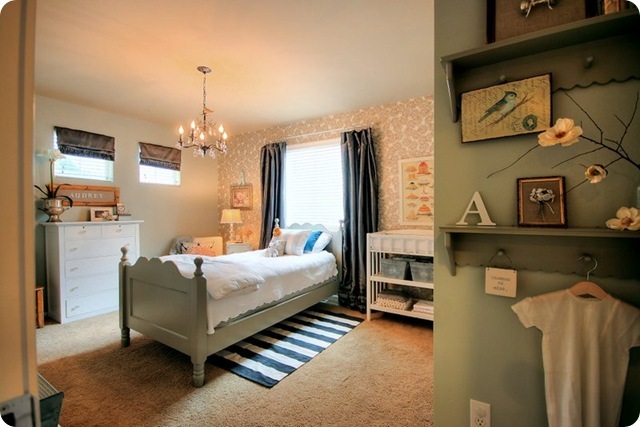 TO DIE FOR, I love everything about this room!!!!! Audrey is one lucky gal! 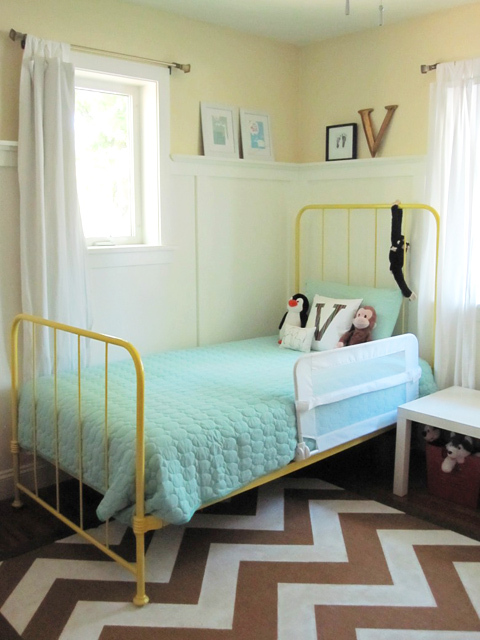 Chevron rug, with the robins egg blue and the yellow, great color scheme! What a great way to use wallpaper scraps! These boys are sooo adorable! 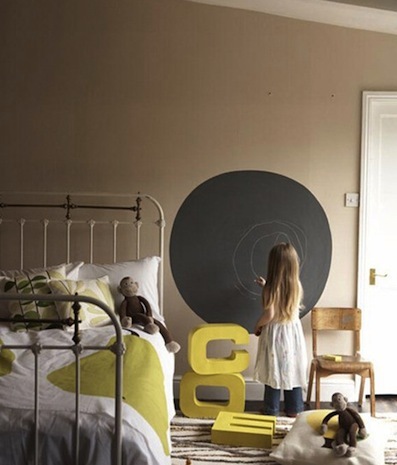 Very chic, understated girls room, I bet she uses that chalk board all the time! 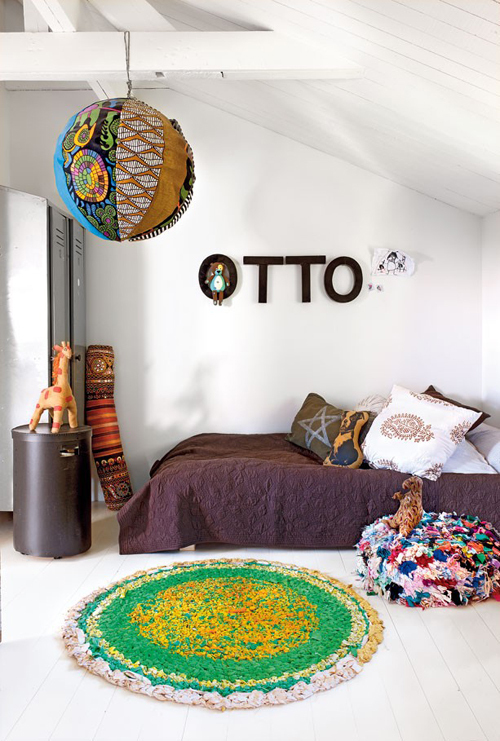 Otto must have a very bohemain, scandinavian set of parents...love it! 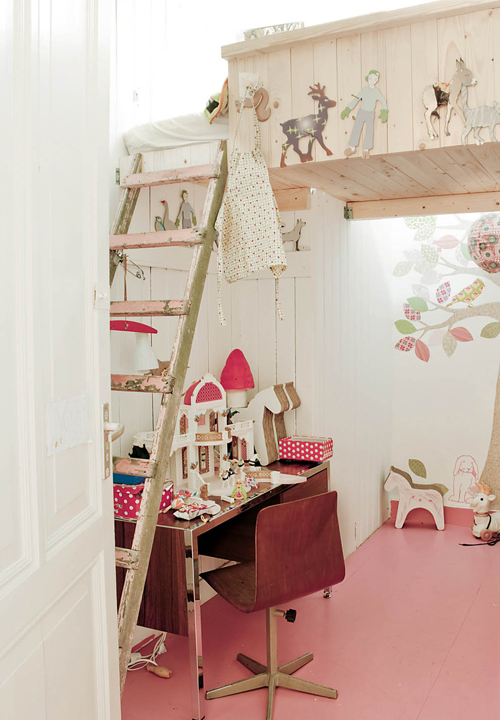 Look at the painted floor and rustic ladder, WHY did I not have a room like this when I was little?! 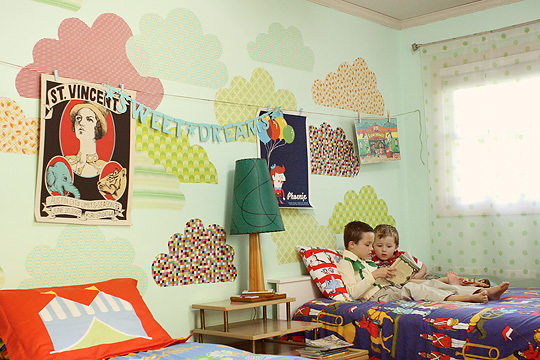 I still have a room at my parents place with bright blue walls and big fluffy clouds painted all over them. It's like the set of a children's television show :) I love going home!